I am extremely excited about a certain movie that will be playing in San Francisco starting this Friday! It's one I've been wanting to see since its Kickstarter campaign, but questioned whether I'd ever be able to. And I really like the answer I got about it after all: Gehenna: Where Death Lives is opening at the Little Roxie on Friday and will be screening for a full week! 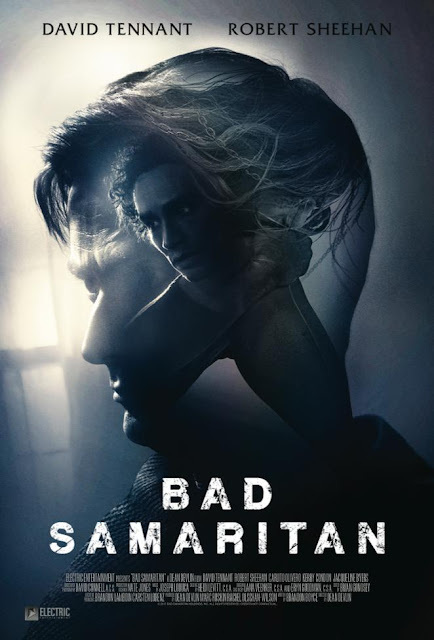 This week we're also getting Dr. Who like you've never seen him in Bad Samaritan, which opens for early screening on Thursday and opens wide Friday. 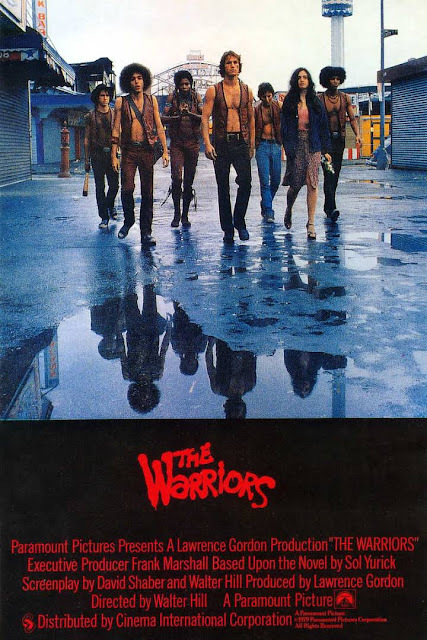 The Stanford Theatre continues its suspenseful classic double features, and The Warriors come to the Clay Theatre for a midnight romp. What happens when you throw together a fallen Mexican wrestler with serious rage issues, a just-out-of-prison ex-con with a regrettable face tattoo, and a recovering junkie motel owner in search of a kidney? That's the premise of the berserk, blood-spattered, and wickedly entertaining feature debut from Ryan Prows. 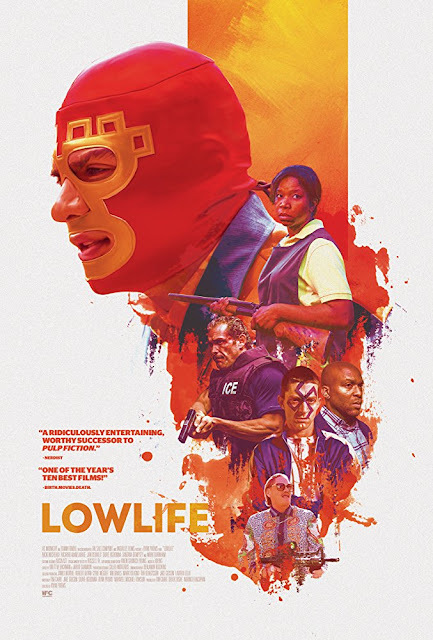 Set amidst the seedy underbelly of Los Angeles, Lowlife zigzags back and forth in time as it charts how fate-and a ruthless crime boss-connects three down-and-out reprobates mixed up in an organ harvesting scheme that goes from bad to worse to off-the-rails insane. Careening from savagely funny to just plain savage to unexpectedly heartfelt, this audacious thriller serves up nonstop adrenaline alongside hard-hitting commentary about the state of contemporary America. An American college student in Rome and his sister in New York investigate a series of killings in both locations where their resident addresses are the domain of two covens of witches. After breaking into the computers of a massive oil company, a group of teen-age hackers uncovers evidence of a wide-ranging embezzling scheme. 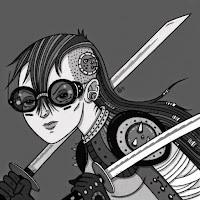 Their intrusion is discovered, and they must rally to find proof and save themselves before they are captured by the police in this techno-thriller. 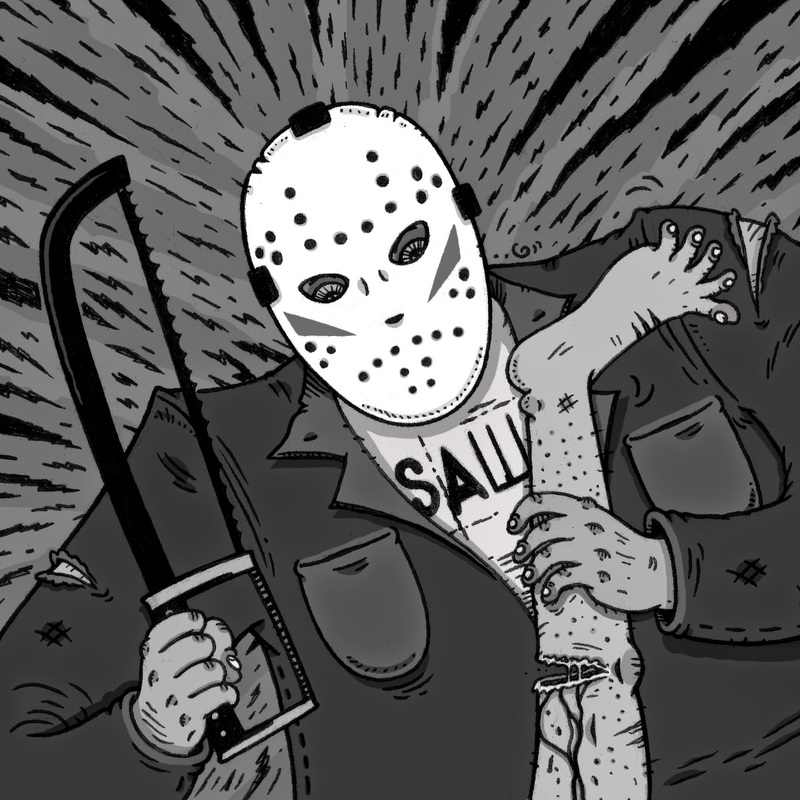 Experience three spine-tingling tales of terror to haunt your dreams. A debunker of all thing paranormal, Professor Phillip Goodman (Andy Nyman) has devoted his life to exposing phony psychics and fraudulent supernatural shenanigans on his own television show. 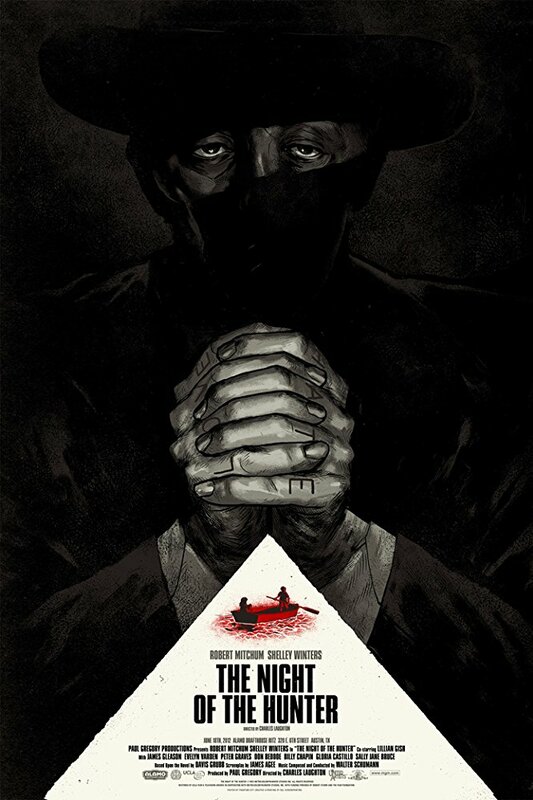 His skepticism is put to the test, however, when he receives a file of three chilling, inexplicable cases: a night watchman (Paul Whitehouse) haunted by disturbing visions as he patrols an abandoned asylum; an edgy young man (Black Mirror's Alex Lawther) involved in a hellish car accident deep in the woods; and a wealthy former banker (Sherlock's Martin Freeman) visited by the poltergeist spirit of his unborn child. 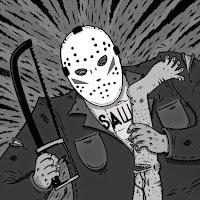 Even scarier: each of these macabre stories seems to have sinister connection to Professor Goodman's own life. Will they make a believer of him yet? 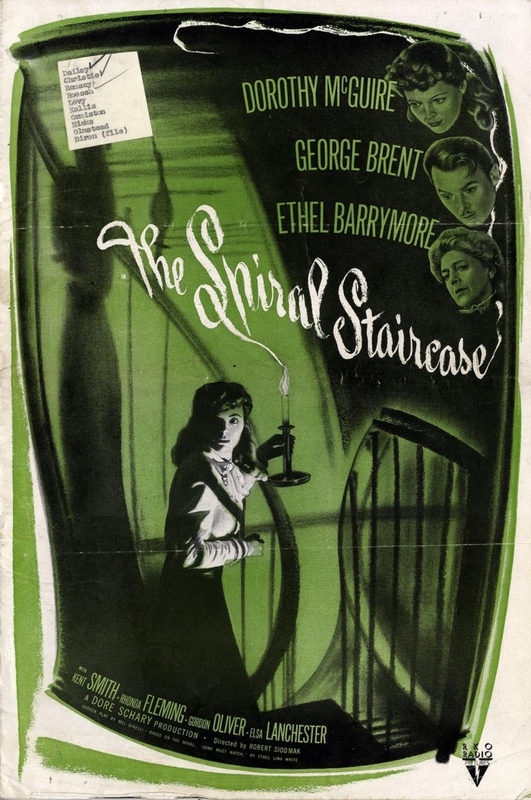 Spiral Staircase is a thriller about a mute servant (Dorothy McGuire) who works in an spooky mansion that may house a killer who has been murdering women who have physical deformities. I hope you guys are in a grindhouse kind of mood, because IFC Midnight's Lowlife is opening at the 4 Star Theatre in just a couple of hours! It will be screening all weekend and into next week, but it's definitely worth your while to see it opening weekend, because there will be several special guests joining the audience. Filmmakers will be at the theatre and will be doing a Q&A after the movie! On Saturday, a familiar face will be co-hosting the event. You may know his as Dave O'Shea, of Dave O'Shea's Day Job. It'll be at 8pm tomorrow! Also this weekend, the British ghost anthology Ghost Stories will be screening at the Opera Plaza in downtown San Francisco! I was kind of bummed when it was only released on VOD last week, but seeing it on the Landmark Theatre calendar got me very excited! I definitely want to make it out to the theatre to check it out soon. I love a good anthology. 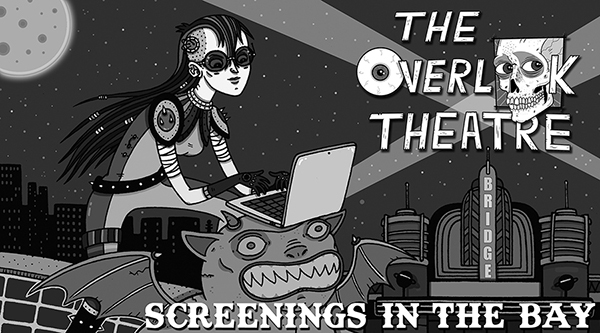 Filmmakers will be in attendance opening weekend and will do a Q&A after the film! 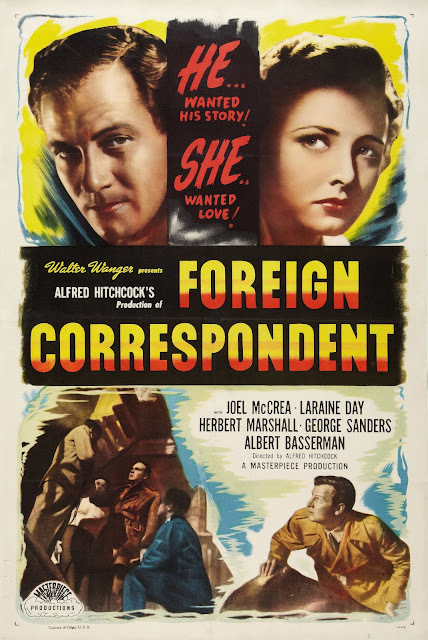 Fourteen scriptwriters spent five years toiling over a movie adaptation of war correspondent Vincent Sheehan's Personal History before producer Walter Wanger brought the property to the screen as Foreign Correspondent. What emerged was approximately 2 parts Sheehan and 8 parts director Alfred Hitchcock--and what's wrong with that? Joel McCrea stars as an American journalist sent by his newspaper to cover the volatile war scene in Europe in the years 1938 to 1940. He has barely arrived in Holland before he witnesses the assassination of Dutch diplomat Albert Basserman: at least, that's what he thinks he sees. 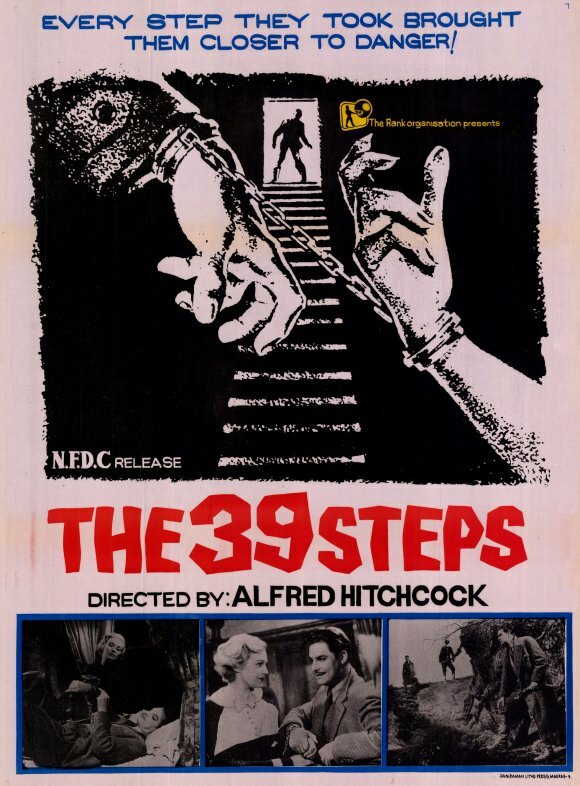 A man in London tries to help a counterespionage agent. 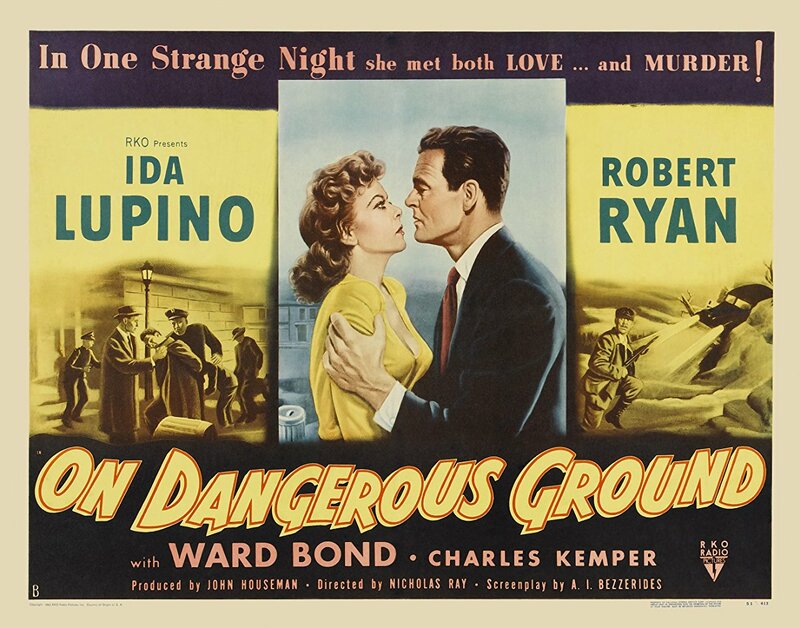 But when the agent is killed and he stands accused, he must go on the run to both save himself and also stop a spy ring trying to steal top secret information. 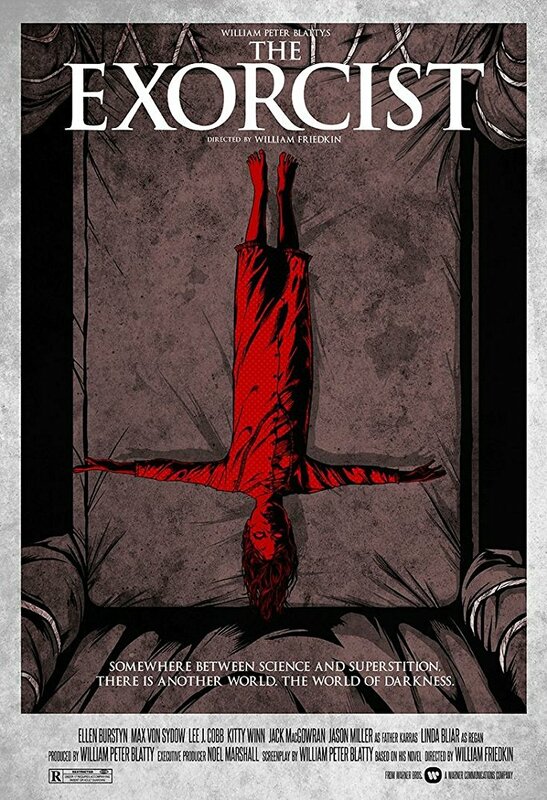 We are still reeling with the amazing response we got for the Unnamed Footage Festival! We met a lot of great people and made some new friends in this whole process, and of course, we got to share some tragically underrated films with the bay area's horror audience. Now, it's time to make the long awaited announcement of who the hell won the audience and jury awards?!? We had some very open minded (but in some cases pretty stubborn) audiences, and the same goes for the jury, so I have been just as excited to see how this all turns out as you have, so let's take a look! If you STILL have not seen this film, fix that right now, please! 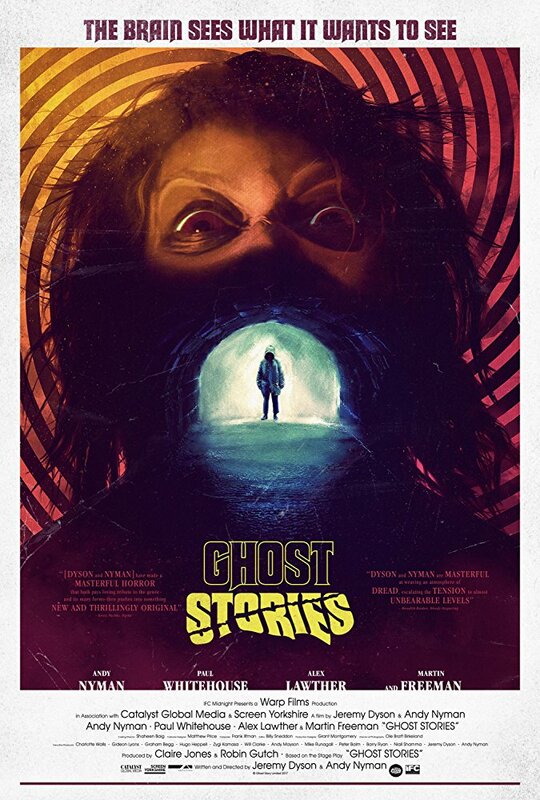 It's on Adam Butcher's YouTube and Vimeo channels, and it's such an interesting and well crafted journey that reels you in the moment it starts, then leaves you chilled when the screen goes black afterwards. In fact, I'll even include it! 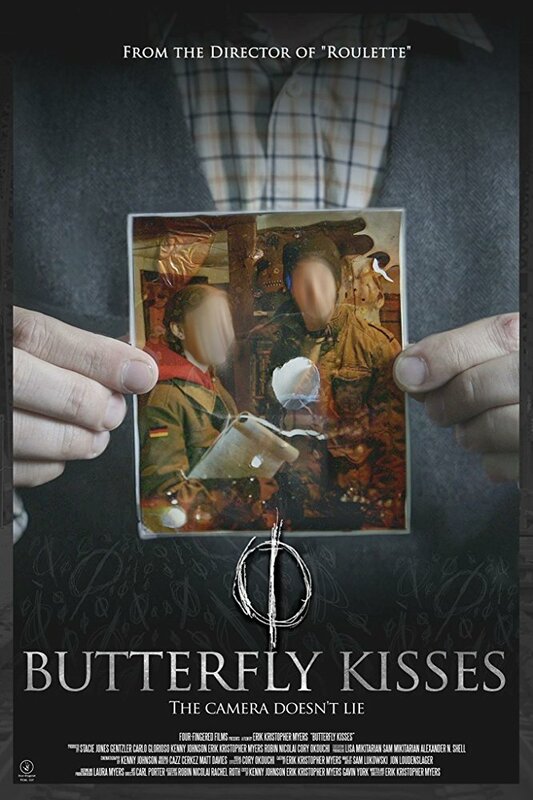 I don't think there are any surprises with this one, as Butterfly Kisses even had me questioning how much of it was real, and I saw it at a film festival! I mean, the main character is so simultaneously unlikable but also completely relatable that he just has to be real. This film was immaculately crafted both as a documentary and also a horror film, so it attacked you from both angles and there was no escape. Congratulations! Less than three minutes of adrenaline fueled adventure and adolescent stupidity as two guys break into an amusement park after hours. Needless to say, things go very wrong! From the always unpredictable mind of Lee Hardcastle, it definitely stands out both on his YouTube channel and also in our programming! Check it out below. 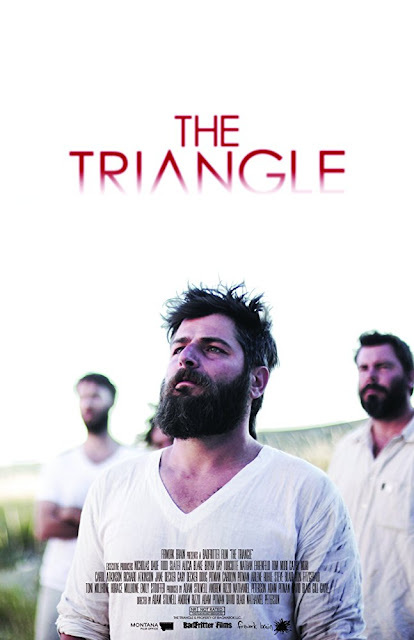 A little sci-fi and a lot of chin scratching come with this lesser known film called The Triangle, but it's one of the features that our jury just couldn't get out of their heads! It was filmed entirely in the desert, and all of the actors were basically playing themselves which gave this film an incredibly authentic feel. And I don't know how these filmmakers found so many people willing to live in the Montana desert for this long, but I'm glad they did! 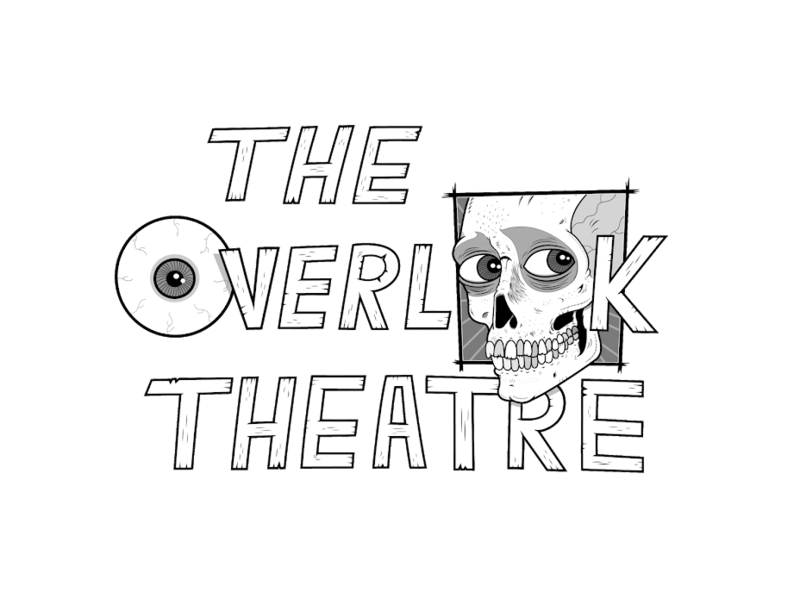 You can also check out the latest episode of the Overlook Hour for the first official announcement of the UFF winners, along with a fantastic interview with Adam Butcher! Thanks for a successful first year everyone! Bluray Tuesday arrives once again and this week is loaded with titles! Arrow Video is finally releasing the anticipated remastered version of Killer Klowns From Outer Space with a few new features. 90's cult classic The Bone Yard hits Bluray for the first time from Code Red. I remember seeing this as a kid and I'm looking forward to revisiting this one. The third film in the Maze Runner Trilogy, Maze Runner: The Death Cure also hits shelves today. Best Buy will carry an exclusive steelbook packaging for this one. Best Buy will also release a 4K anniversary edition of Deadpool that you can enjoy in full 4K before seeing the sequel in theaters in a few weeks. Scream Factory releases another title I've been looking forward to checking out, Daughters of Satan this week. 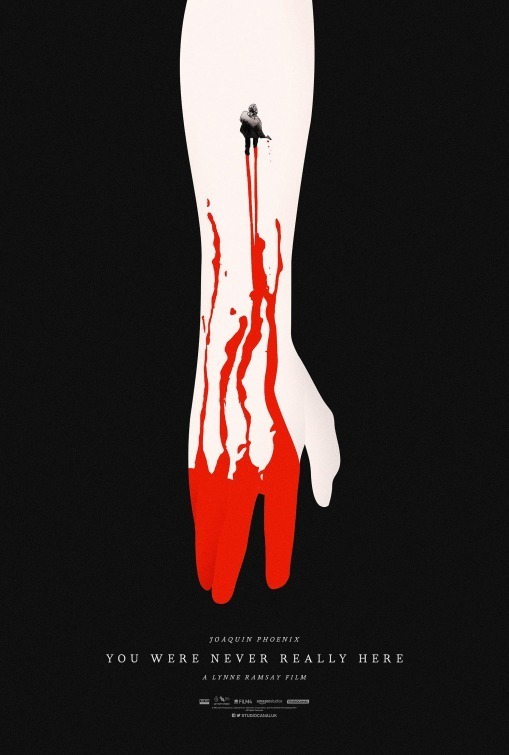 Vinegar Syndrome releases 70's horror film Terror for the first time on Bluray as well. Rounding out the week is action thriller Den of Thieves, western drama Hostiles and the 40th anniversary of Grease released in standard, 4K and steelbook editions. What will you buy, rent or just skip this week? Let us know in the comments. Until next week! A spaceship that looks like a circus tent lands in a field near a small town, signaling the attack of deviant, red-nosed, balloon-twisting psychos from another world who plan to annihilate mankind by turning people into cotton candy! Luckily, the town's teen citizenry decides to fight back and teach the cosmic bozos a lesson. Children turned into zombies wreak havoc in a coroner's building with just a burned-out psychic, an experienced cop and two coroners to stop the madness. Nick O'Brien is the hard-drinking leader of the Regulators, an elite unit of the Los Angeles County Sheriff's Department. Ray Merrimen is the recently paroled leader of the Outlaws, a gang of ex-military men who use their expertise and tactical skills to evade the law. O'Brien, Merrimen and their crews soon find themselves on a direct collision course as the criminals hatch an elaborate plan for a seemingly impossible heist -- the city's Federal Reserve Bank. Royal descendants feel the wrath of the curse of condemned witch Mad Dolly, who spews forth her prophecy while she is burned at the stake. 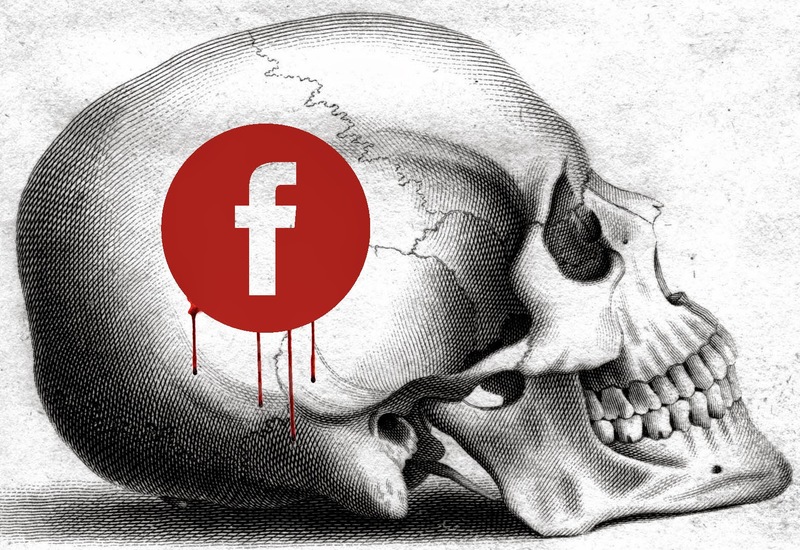 The victims suffer death by having their heads removed in various fashions, getting their limbs caught in animal traps, knife wounds, and other methods of medieval torture. The lives of an eclectic group of men who live in an affluent American suburb in the '70s are forever changed by their obsession with five doomed sisters. James Robertson buys a painting depicting witches being burned at the stake, one of whom bears an uncanny resemblance to his wife, Chris. 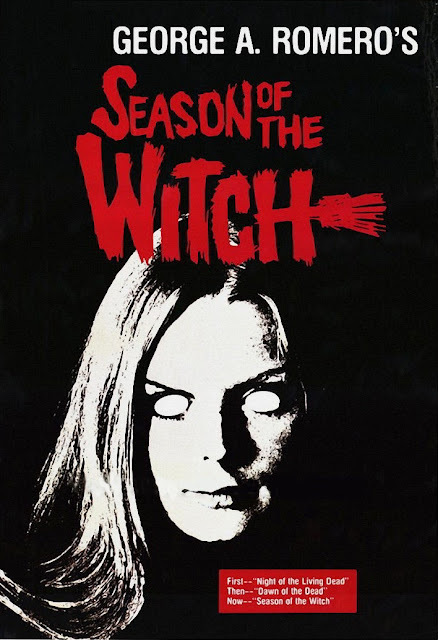 Chris, gradually taken over by the personality of the witch in the painting that she resembles, allies herself with two other reincarnated witches to plan James' death, as he proves to be a descendant of the man responsible for the witches' fate. 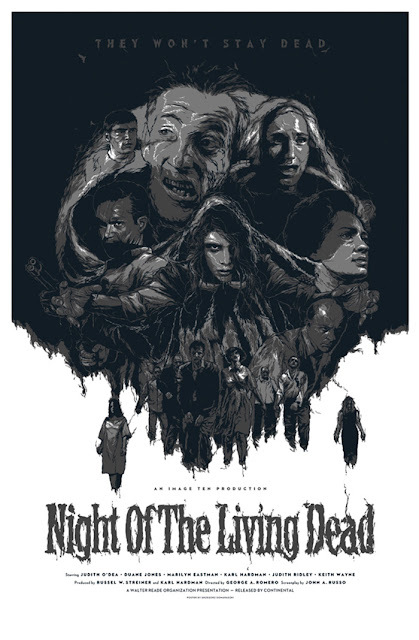 This looks to be the week of double features and George Romero movies in the bay area... and that's fine by me! 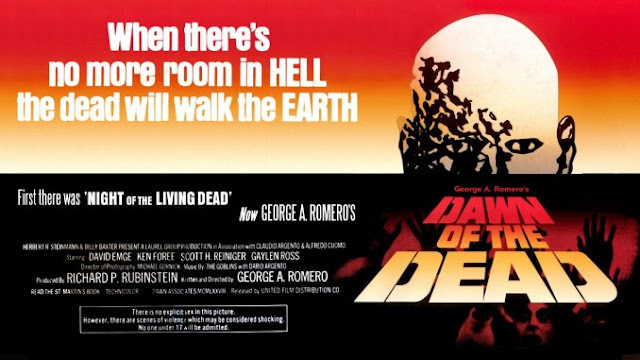 The Castro and Roxie Theatres are both celebrating the man who fathered the modern day zombie by showing several of his films throughout the week and it looks like there are more in store as well. The Castro is also playing an explorative double feature on Wednesday with Annihilation and Stalker. Not to be upstaged, the Roxie presents a William Friedkin double feature on Tuesday night consisting of The Devil and Father Amorth and the director's cut of The Exorcist. I've heard that the former of these two has actual footage of an exorcism, which is why I have my tickets already. The end of this week highlights a special event going on at the 4 Star Theatre, which I'll take any excuse to visit. 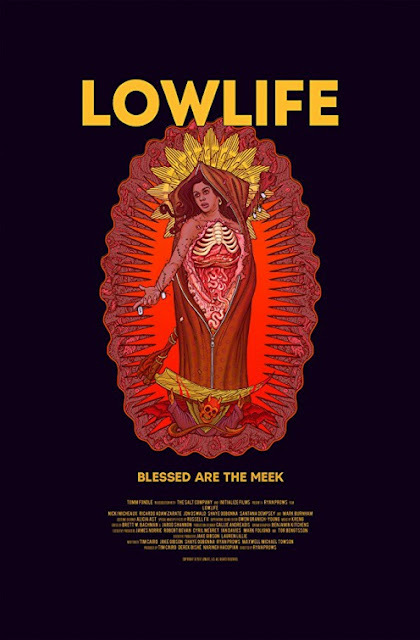 But this Friday, the IFC Midnight presented film Lowlife will be opening at the 4 Star, and it will be accompanied by several guests, who will be attending each screening (throughout the weekend too) and will be on hand for a Q&A after each show. This blackened comedy has been getting a great response from audiences so far, come out and see why! 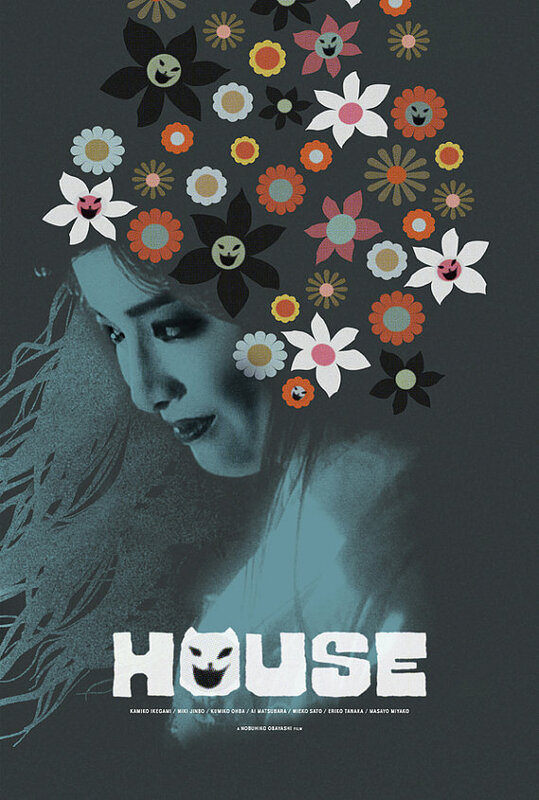 In an effort to avoid spending time with her father and his creepy new lover, young Gorgeous (Kimiko Ikegami) resolves to visit her aunt's remote mansion. With six of her closest friends in tow, including the musically inclined Melody (Eriko Tanaka) and the geeky Prof (Ai Matsubara), Gorgeous arrives at the estate, where supernatural events occur almost immediately. 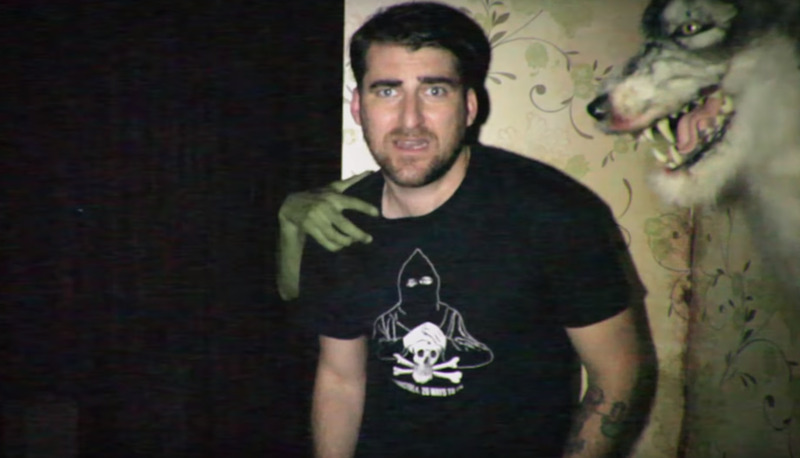 A severed head takes flight, household appliances come to life and a portrait of a cat seems to contain an evil spirit. 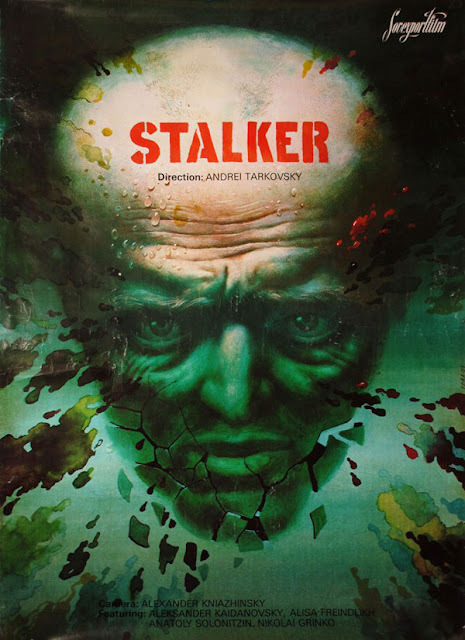 Russian director Andrei Tarkovsky's Stalker, an allegorical science fiction film like his earlier Solaris, was adapted from the novel Picnic by the Roadside by brothers Boris Strugatsky and Arkady Strugatsky. The film follows three men -- the Scientist (Nikolai Grinko), the Writer (Anatoliy Solonitsyn), and the Stalker (Alexander Kaidanovsky) -- as they travel through a mysterious and forbidden territory in the Russian wilderness called the "Zone." In the Zone, nothing is what it seems. Objects change places, the landscape shifts and rearranges itself. It seems as if an unknown intelligence is actively thwarting any attempt to penetrate its borders. In the Zone, there is said to be a bunker, and in the bunker: a magical room which has the power to make wishes come true. The Stalker is the hired guide for the journey who has, through repeated visits to the Zone, become accustomed to its complex traps, pitfalls, and subtle distortions. Frustrated with her uncommunicative husband and distant daughter, a suburban housewife seeks solace in witchcraft. 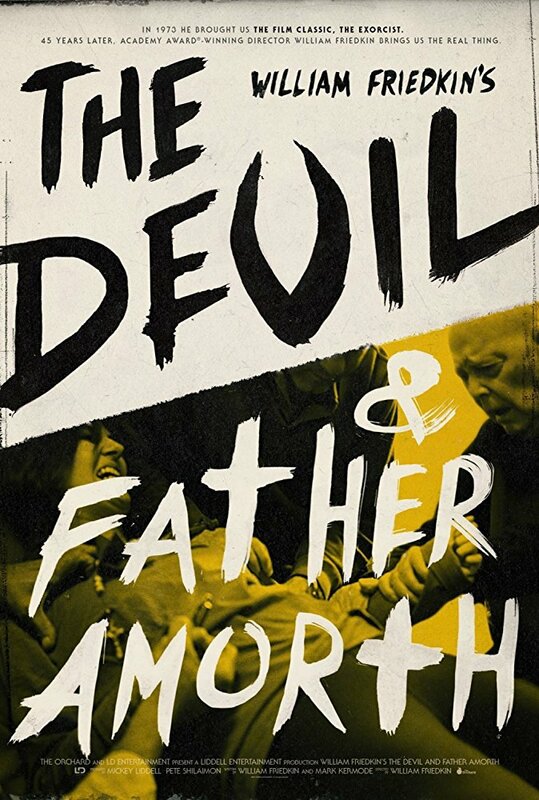 Years after he changed the landscape of American filmmaking with 1973's THE EXORCIST, director, co-writer and legendary storyteller William Friedkin moves from fiction to fact with his new documentary, THE DEVIL AND FATHER AMORTH. What began as a brief conversation between Friedkin and Father Gabrielle Amorth - the head Exorcist for the Diocese of Rome for over 30 years - as two professionals who knew of each other's work soon transformed into an once-in-a- lifetime opportunity, as Amorth agreed Friedkin could film an exorcism ceremony. It would be the ninth exorcism for a painfully afflicted woman, Cristina (a pseudonym), who had already been under Father Amorth's care - and it would be filmed by Friedkin alone, with no other crew allowed, no light other than the natural light in the room and a small digital camera-and-mic unit that could capture the ritual and its revelations. 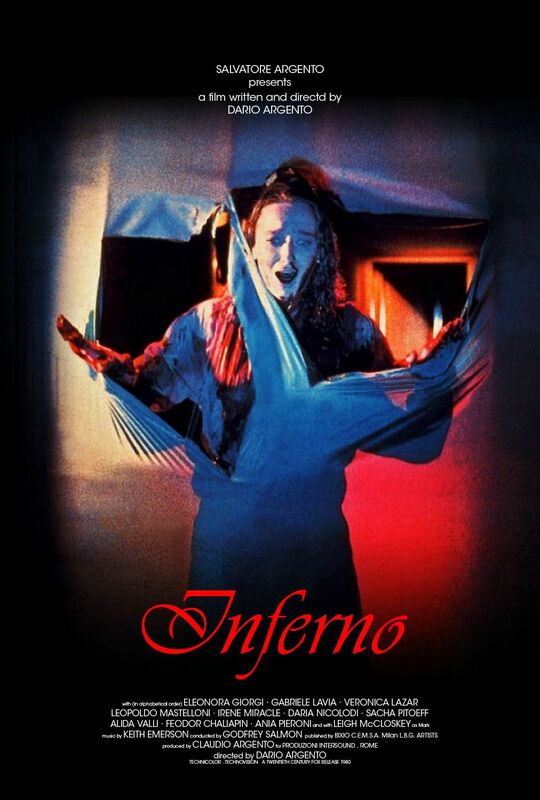 Combining the startling and singular footage from Cristina's exorcism with interviews from priests and psychologists, neurosurgeons and non-believers, Friedkin guides us on a journey into the twilight world between the boundaries of what we know and what we don't with a singular and startling guide in the form of the urbane, charming and self-deprecatingly funny Father Amorth, a man who laughs in the face of the Devil both figuratively and literally. Combining Friedkin's past memories and present observations with archival footage and new interviews - as well as also presenting what may be the only real exorcism ceremony captured on film - THE DEVIL AND FATHER AMORTH is a startling and surprising story of the religion, the ritual and the real-world victims involved in possession and exorcism. A bona fide cultural phenomenon, when THE EXORCIST first released into theaters, all hell broke loose. Adapted from the novel by William Peter Blatty and nominated for 10 Academy Awards, this story of a little girl possessed by the demon and the priests who are charged with saving her soul, is considered by many to be the scariest movie of all time. 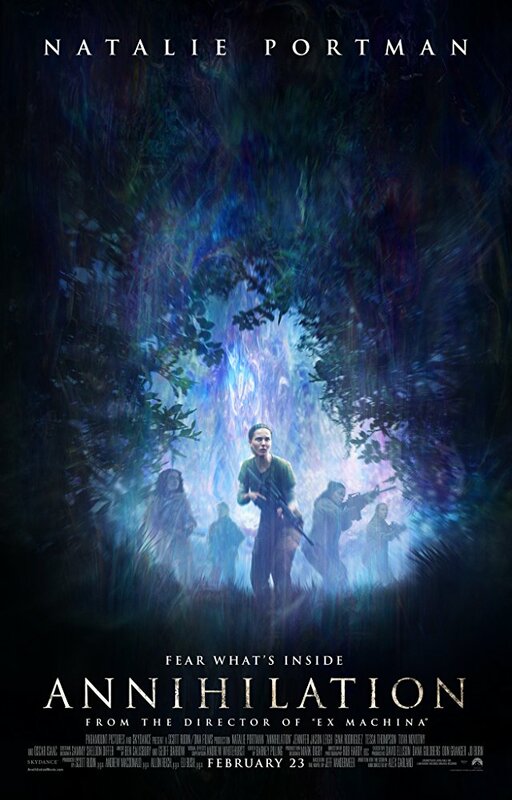 This Extended Directors Cut adds 10 minutes of previously unseen footage, trimmed from the original release and digitally enhanced Chris Newman’s Oscar-winning sound work. The influence of surrealism extended far beyond its initial origins of Bunuel and Dali- even our cartoon pals took on a few unusual and not-all-together real escapades. 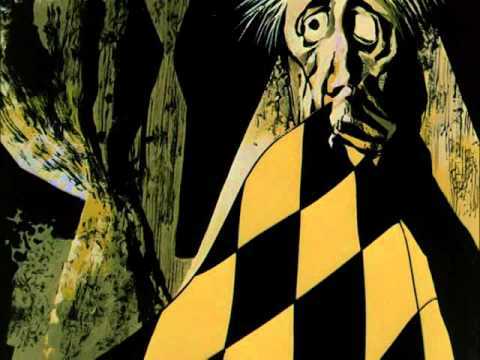 A crazed collection surreal animations from 1908 thru the ’50s and beyond – all projected from 16mm film! 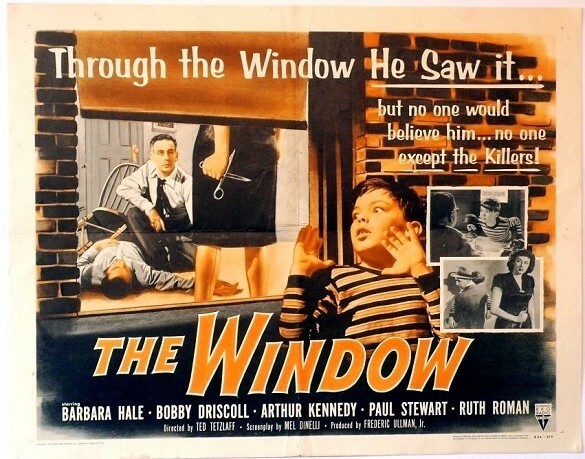 In this melodrama, Bobby Driscoll stars as a young boy prone to fibs. Thus, no one believes Driscoll when he claims to have seen a murder in a neighboring apartment. No one, that is, except the killers. With no help from his parents or the law, Driscoll must save himself.